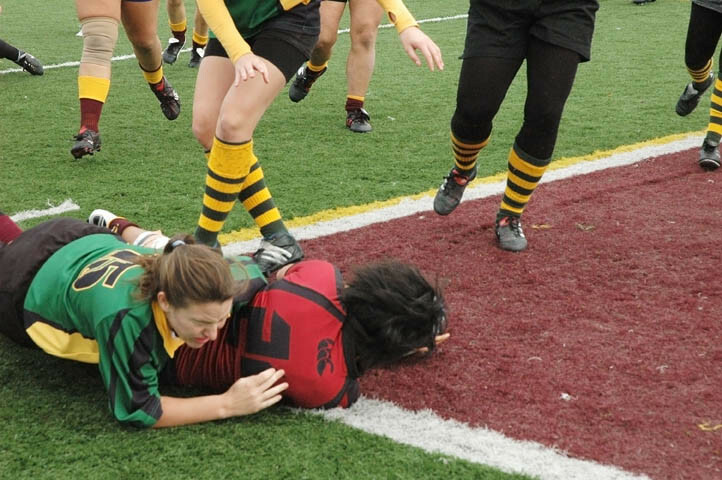 The ConU women’s rugby Stingers did what was expected of them on Sunday at Loyola Campus, steamrolling over the Sherbrooke Vert et Or 92-0 and putting them within reach of a perfect season. All the Stingers have to do is overcome the Laval Rouge et Or and the McGill Martlets in their final two league games to post a 6-0-0 record. It won’t be easy, however, as Laval is the only team that beat Concordia last year and was one point shy of tying the Stingers in their first encounter this year. For the Vert et Or, Sunday’s game against Concordia couldn’t have come at a worse time. Many of Sherbrooke’s players are currently injured, so head coach Jean-Michel Diorio was looking for his team to gain experience. “You have to be realistic and consider the teams play two different levels of rugby. Our goal is to play every game and not give up before the end, and I think the girls did that today, even though the score indicates otherwise,” said Diorio. 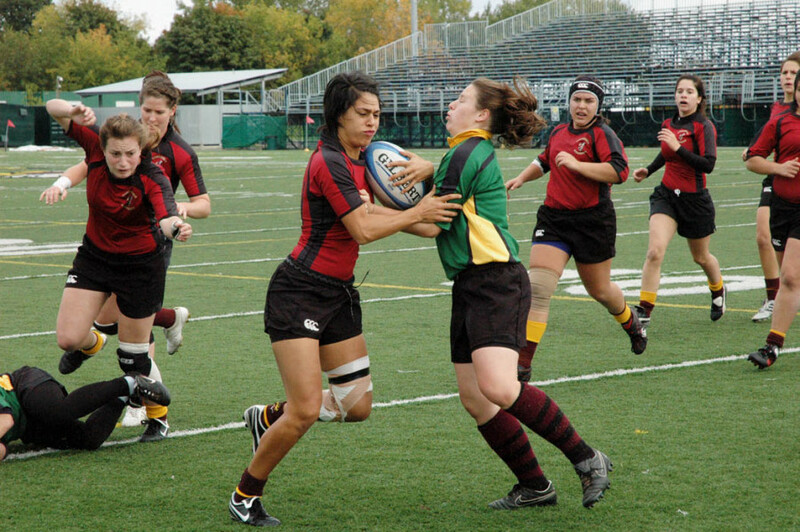 Among the long list of players who recorded tries on the weekend, center Jackie Tittley had another outstanding match for the Stingers, as she hit 11 of 14 converts and recorded two tries of her own. Tittley’s first try came in the 62nd minute as she charged down the middle and teammate Erika Hamilton provided her with a firm pass, which enabled Tittley to run unchallenged past the try line. Concordia rookie Gifty Asare made her first appearance for the Stingers and ran 60 yards to open her account in the 73rd minute. The Stingers will visit Quebec City Oct. 10 for the game with the Rouge et Or. This article originally appeared in The Link Volume 31, Issue 08, published October 5, 2010.